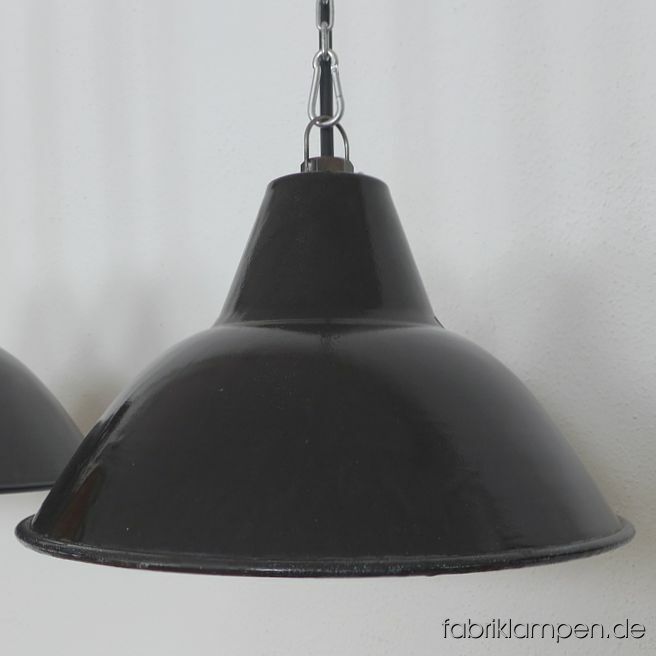 Old black enamel factory lamps, producer LBD (VEB Leuchtenbau Dresden). 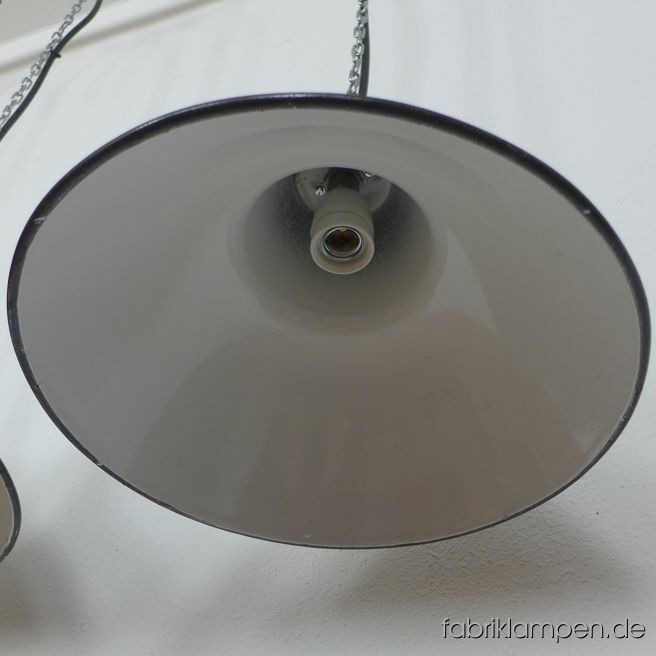 The lamps have moderate traces of usage and age. 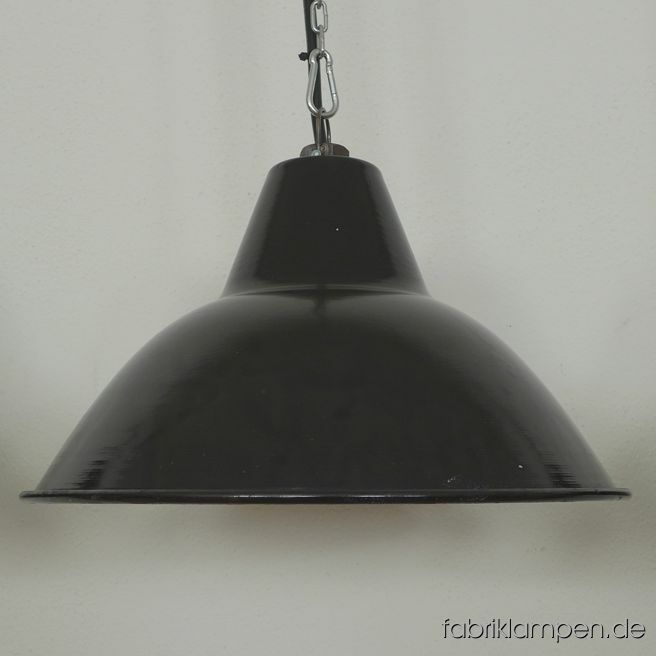 Material: black (inside white) enameled steel sheet. Newly electrified, with E27 ceramic sockets. Height of the lamps ca. 21 cm (8,3 inches), diameter of the shades ca. 38,5 cm (15,1 inches). We have also the bigger version of this type in stock. 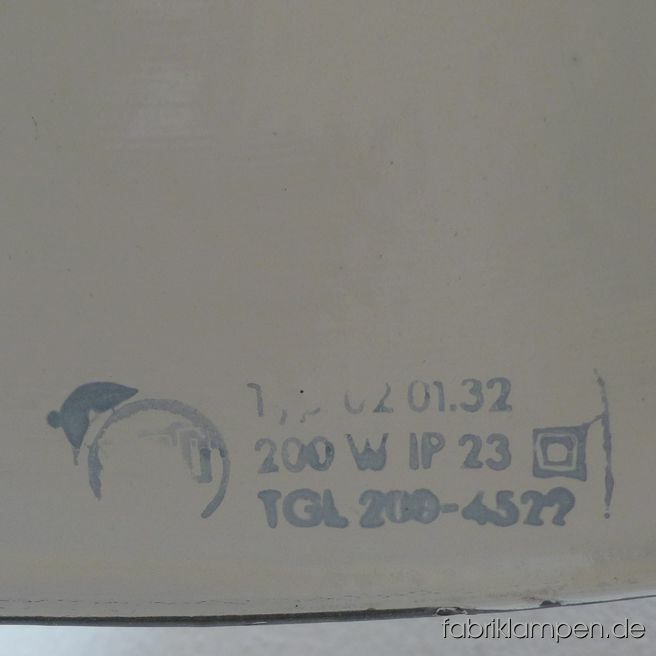 Fitting: New porcelain bulb socket E27, suitable for all currently available bulbs (LED, energy-saving, halogen and traditional bulbs): Halogen and traditional bulbs with a maximum performance of up to 60 Watt may be used. 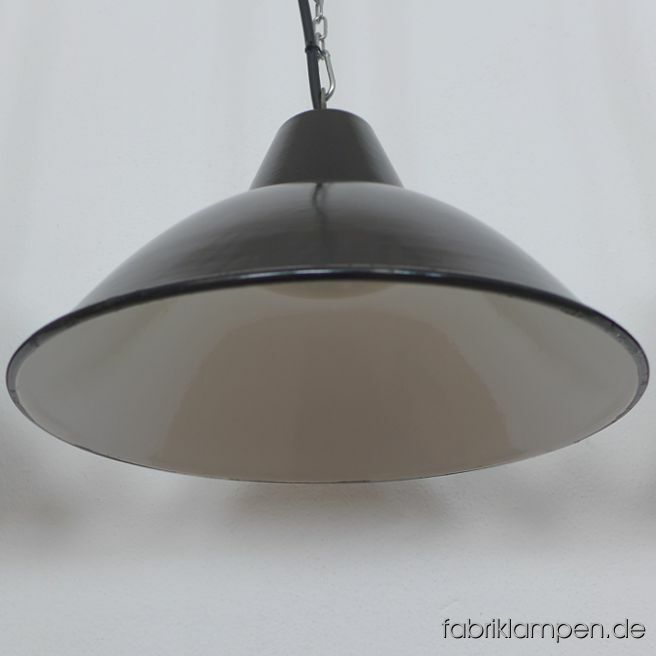 Our recommendation for these lamps are LED bulbs, for example, with a carbon-filament look. 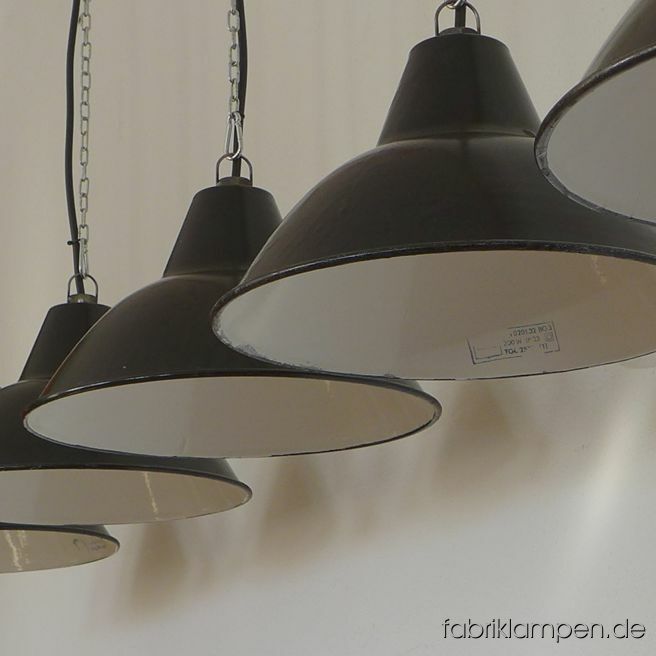 The lamps are supplied without bulbs. Cabling: Newly electrified, using quality cabling made in Germany, length 2 metres. Other lengths are available on request (at an additional charge). 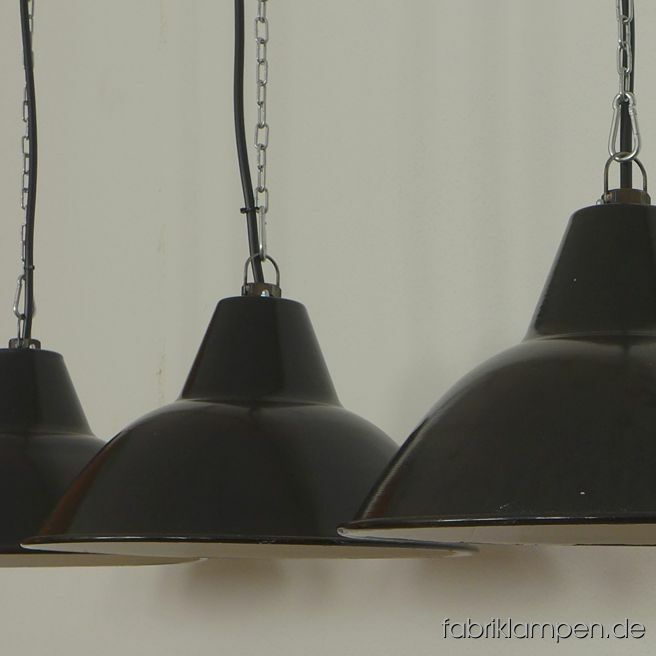 Hanging mount: The lamps are provided with an eye, but no mount for hanging. Please make sure a suitable mount is used to hang the lamp. Lifting or mounting the lamps using the cable is not permitted. A chain hanger may also be provided at extra cost, this is galvanised, 2 metres long, with snaphooks top and bottom, and without canopy. 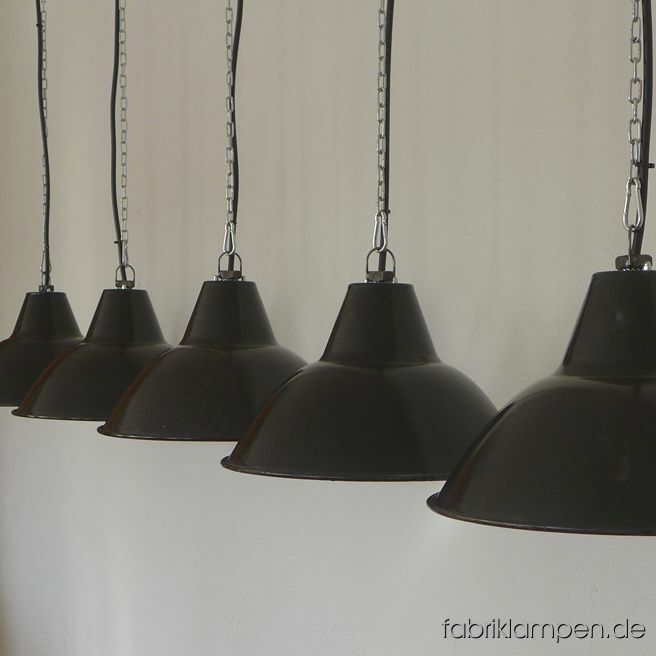 How to use: The lamps are suitable only for indoor use. Please use the closed lamps with LED bulbs.